All Old Orchard Country Estat homes currently listed for sale in Southlake as of 04/20/2019 are shown below. You can change the search criteria at any time by pressing the 'Change Search' button below. If you have any questions or you would like more information about any Southlake homes for sale or other Southlake real estate, please contact us and one of our knowledgeable Southlake REALTORS® would be pleased to assist you. "RARE FIND! 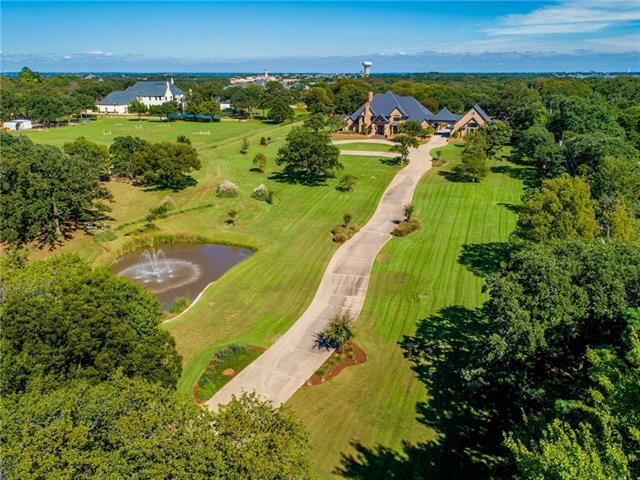 Stunning 6.76 Acre Equestrian Estate with a beautiful 6,778 sq ft home & backyard oasis located in the sought after Carroll ISD! Be impressed by the large formal dining & living areas w views of the vast front yard & pond. The kitchen is a chef's dream w top of the line appliances & large island w breakfast bar opening to the spacious family living & wet bar. Retreat to the master suite w cozy fireplace, bay window seating area & spa-like bath. Upstairs offers 2 bedrooms each w privat"